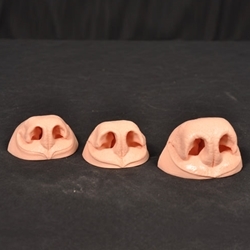 Hilton Eppley has created the most accurate reproduction BEAR NOSES. Each nose is meticulously produced to be the most realistic BEAR NOSE in taxidermy! You will find these noses to simply be the BEST replacement bear noses in taxidermy!